Arch Creek Trust is a non-profit volunteer organization dedicated to the preservation and enrichment of Arch Creek Park. The organization conducts several fund-raisers every year. With these funds the trust provides equipment and other materials needed by the park staff. 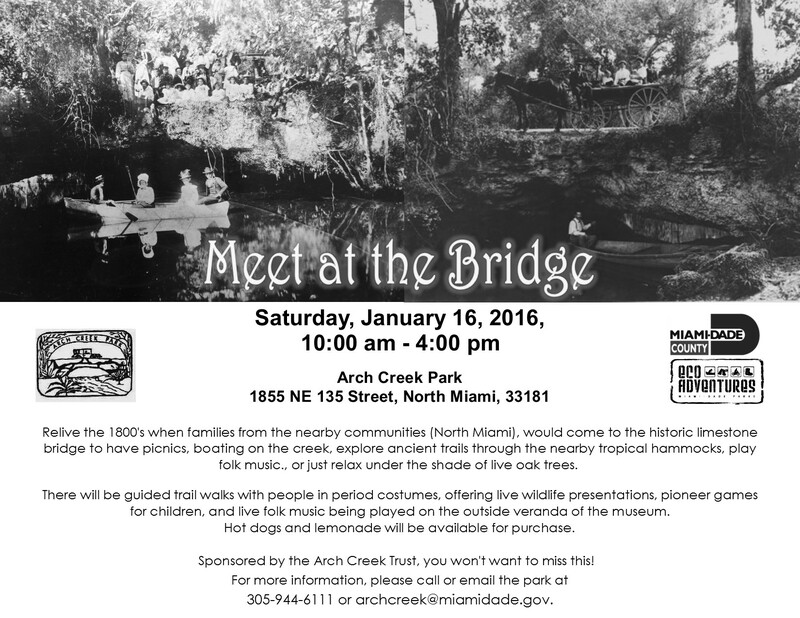 Everyone interested in the care and future of the park is urged to join Arch Creek Trust. Your Membership includes a monthly newsletter, which keeps you updated on events in the park and other environmental issues around the country. You also receive notification of scheduled group outings. Monthly meetings are held on the 3rd Saturday of every month, in the museum. Everyone is welcome to attend the meetings.